Children who play musical instruments have a higher IQ and do better on standardized tests than their peers, according to research from Brown University. If your child is interested in playing music, find an instrument he or she wants to play. Oftentimes, parents make the mistake of choosing the instrument for the child, which may lessen his or her interest. Instead, have your child test out a few different instruments to see which one he or she likes best. CMUSE, a website dedicated to all things music, suggests starting with basic instruments. This may mean that the oboe, bassoon, violin and french horn may be out of the question. If you’re not a professional musician, hire someone to teach your child the basics, such as reading music and caring for his or her instrument. Online resources, such as Take Lessons, let your browse through dozens of local music teachers and tutors with the click of the button. Look for a music teacher who is energetic and passionate about music to inspire your child to play. There are a variety of kid-friendly shows for you to see at your local theater or on the big stages of Broadway. From all the singing and dancing to following along with the storyline, your child will learn and grow from this experience. Take your child to a Broadway show that casts child actors to pique his or her interest in this form of art. Use Telecharge to find an appropriate show and to purchase tickets for the best seats in the house. If your kiddo wants to be an actor, support his or her dream. That doesn’t mean you have to spend endless amounts of money on lessons and auditions, but you can sign him or her up for local productions or even simply cast him or her in a home production. Set up a stage and costumes, and let your little one act out a scene right in the living room. Little brothers and sisters also can be cast as supporting roles. Also be sure to record the entire performance. When children are encouraged to express themselves through art, they develop a sense of innovation that extends into their adult lives. Following directions is great, but, according to experts, young artists are more forward thinking than their peers and more willing to take risks, reports PBS Parents. Additionally, art helps young children develop fine-tuned motor skills, and it impacts visual learning, language development, decision making and cultural awareness. A report from Americans for the Arts shows that children who participate in arts activities for at least three hours per day are more likely to be recognized for their academic performance than children who do not participate in arts activities. When it comes to art, give your child room to express him or herself — without coloring on the walls, of course. Art supplies, such as easels, sketchbooks or even a large paper roll can be your child’s canvas. If your kiddo is a budding Picasso, show him or her that you’re proud of his or her artwork. Don’t just hang it on the refrigerator, either. Instead, have his or her artwork framed and hung. 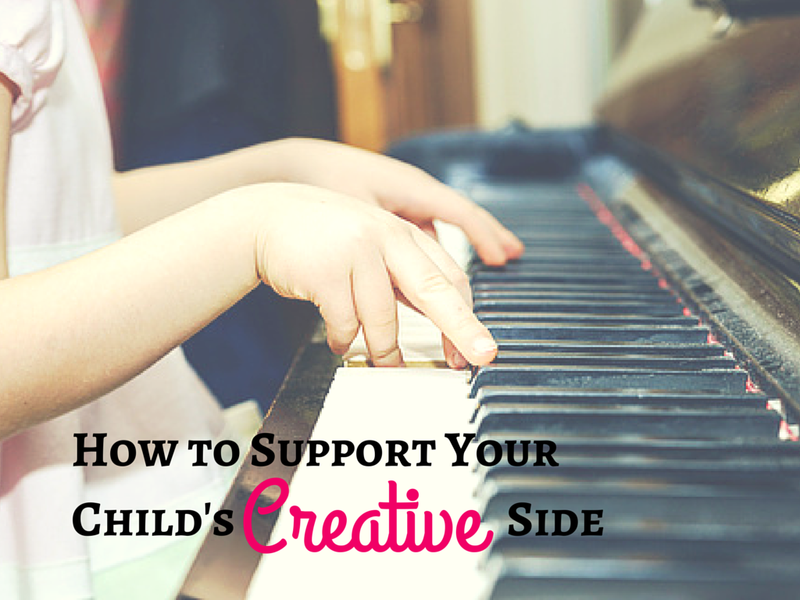 Not only are you preserving a childhood memory, but you’re supporting his or her creativity.